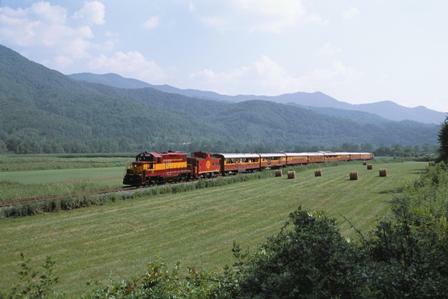 Great Smoky Mountains Railroad is excited to introduce its All-Inclusive First Class Seating with dining and exclusive souvenirs. First Class passengers ride in comfort and style in 1940’s era bar, lounge and dining cars that feature seating at well-appointed tables and lounge/restaurant style chairs. First Class passengers receive a delicious lunch served by the car’s private attendant, a souvenir tumbler with unlimited fountain sodas and an embroidered tote bag gift from GSMR. 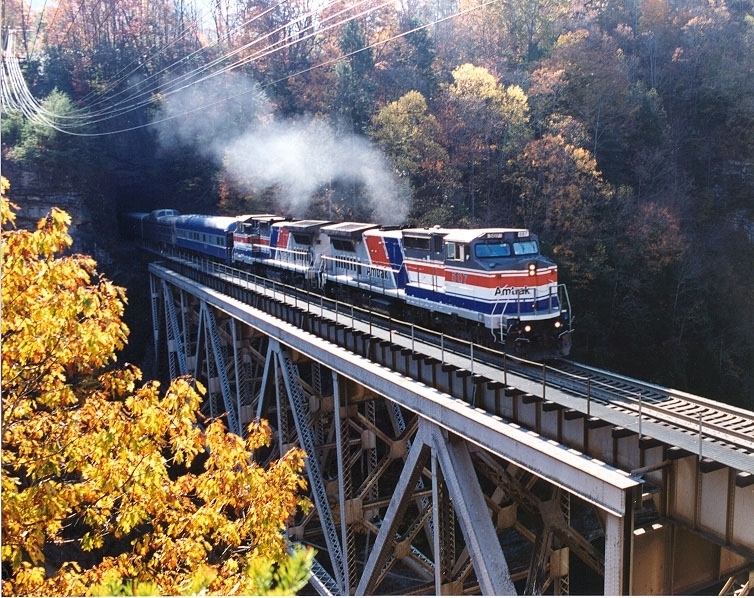 Great Smoky Mountains Railroad’s First Class Cars include the Dixie Flyer, Silver Meteor, Champion and MacNeill. These unique cars have colorful stories and heritage that date back to the 1940’s. Great care and attention have been taken to restore and preserve this history. 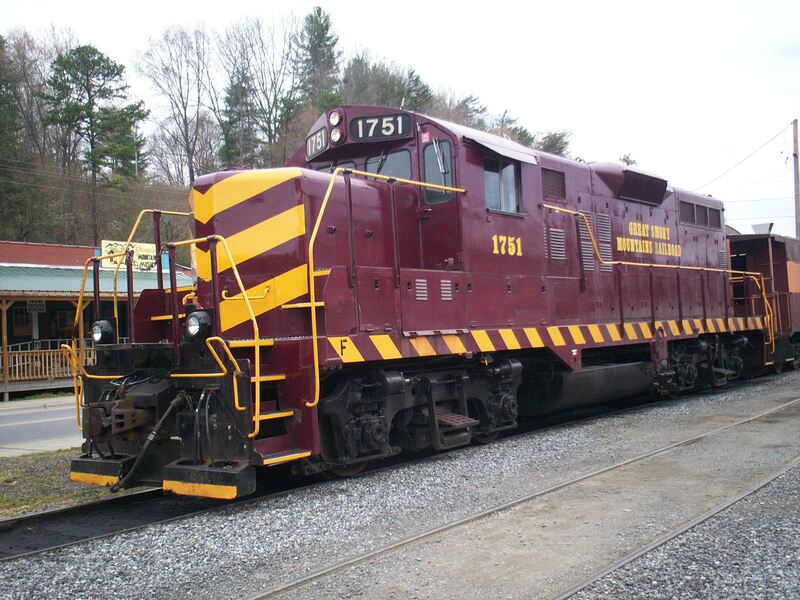 The MacNeill was built as the Pohatan Arrow for the Norfolk & Western Railway (present day Norfolk-Southern) to run on their Premier Passenger Line, and the Dixie Flyer Dining Car was built in 1949 as a bar and lounge for the Pennsylvania Railroad. The Silver Meteor and Champion cars were built in 1940 for the Seaboard Airline Railway, with the Silver Meteor serving as a dinner car and the Champion as a lightweight lounge car. 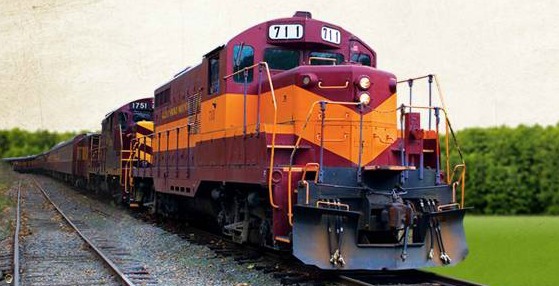 These First Class Cars have been used in filming movies such as My Fellow Americans and Forces of Nature. First Class Passengers may choose one of several hearty lunch options including a 100% Black Angus Steakburger, Slow Cooked Southern BBQ sandwich, Grilled Chicken Breast Sandwich and a Garden Salad. Sandwiches are served on a toasted sourdough bun with lettuce, tomato and onions, plus potato wedges and dessert. Cocktail and bar service is available for purchase, and First Class cars are limited to those ages 21 and over. Family First Class is available in the summer months of June, July and August. Adults and children can ride and dine First Class! Adults receive the same First Class amenities, and children receive a tasty kid’s meal, souvenir tumbler and special amenity. 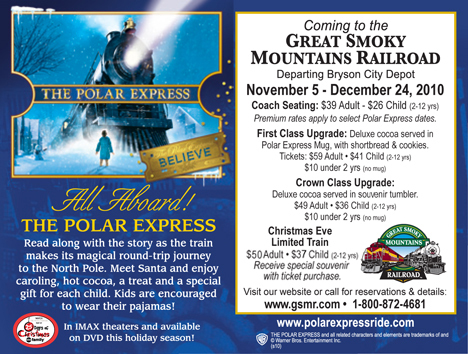 Join the Great Smoky Mountains Railroad for a First Class journey you’ll always remember. For more information please call 800-872-4681 or visit us online at www.GSMR.com.